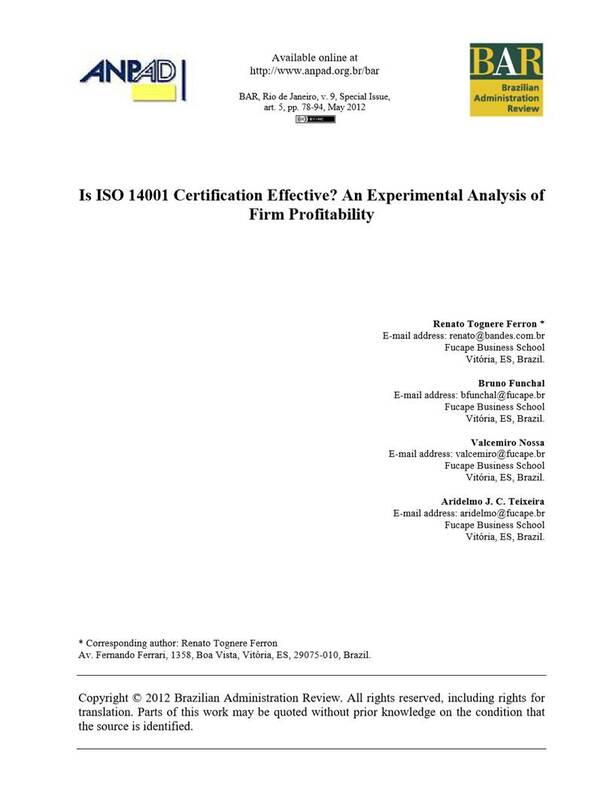 The financial performance of companies with and without ISO 14001 environmental management system certification was investigated using data on 552 publicly traded Brazilian companies between 1996 and 2008 (Ferron et al. 2012). The results indicated that firms with accredited certification to ISO 14001 tended to be more profitable than those without certification.